History: Thai Kickboxing, or Muay Thai, is both a brutal martial art and the most popular spectator sport in Thailand. Because this style uses the hands, elbows, knees and feet to strike, it is sometimes called the "science of eight limbs." Although the modern sport requires the combatants to wear boxing gloves, the knees and elbows are not padded, and these are used to deliver devastating attacks that serve to make Thai Kickboxers some of the toughest fighters on Earth and the careers of most Thai Kickboxers painfully short. Effect: You are proficient in punch and kick attacks and are considered armed with making such attacks. This feat adds Balance, Intimidate, and Pressure Points to your list of class skills. 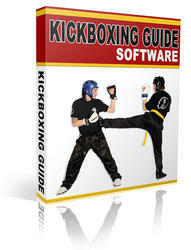 Thai Kickboxing attacks are modified by Strength.